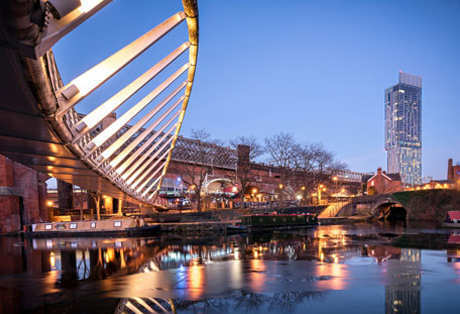 Manchester is now one of the UK’s most attractive property-investment destinations due to its combination of population growth, affordable prices leading to good yields and excellent post-Brexit prospects. As an added bonus, it also has options for property investors of all types including those who wish to focus on commercial property. Over recent years, Manchester has experienced significant population growth and most of this expansion has been in the young adult demographic. Specifically it has been a combination of local graduates opting to stay in the city, people returning to Manchester having completed their degrees elsewhere and millennials relocating from the Thames Valley area in search of a better quality of life at a price they can reasonably afford. The presence of such an impressive talent pool is a major draw for companies of all kinds and the local authorities in Manchester have been doing their best to encourage it by working extensively with property developers to increase the stock of high-quality housing without compromising Manchester’s many attractive green spaces and waterways. Even though the Manchester property market is one of the most active and vibrant local property markets in the UK (and has been for several years now), property is still very attractively priced by any standard and especially when compared to equivalent property in the Thames Valley area. This is partly because it is still coming off a very low base and partly because of the aforementioned home-building programmes helping to increase supply and hence keep costs down for buyers. While affordable house prices often decrease the demand for rental property, the situation in Manchester bucks the trend as its population contains a very high percentage of young adults in their twenties who are “natural renters”. For this reason, it’s possible for landlords to achieve yields far in excess of anything they could hope for in the Thames Valley area. Manchester didn’t achieve its economic transformation by abandoning manufacturing; on the contrary, the manufacturing sector has been growing. Instead, Manchester expanded by building on existing skills and diversifying into new ones. For example, even though it still has traditional, heavy industry, it has also been at the forefront of technological development and has become a key digital hub, home to many creative enterprises (and part of the BBC). It has also developed a health service sector, which is not only divided between business-to-business and business-to-consumer but also incorporates a wide range of industry niches and a mixture of private-sector and public-sector employers. What’s more it doesn’t just rely on its excellent digital infrastructure for its connections to the wider UK and beyond, it also has some of the best transport links in the country, regardless of whether you are travelling by road, rail or air. These have all helped to establish Manchester as a truly global city in its own right.